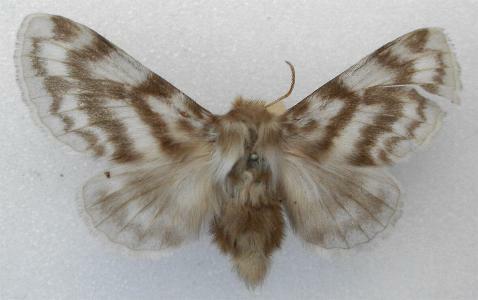 The adult moth of this species is white with a brown and white lattice pattern on the forewings. The male has a wingspan of about 3 cms. 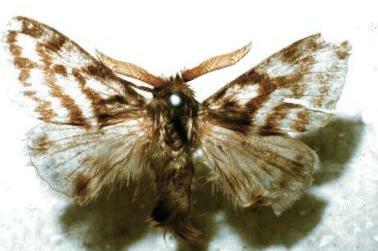 The female has a fatter abdomen, antennae that are more threadlike, and has a wingspan of about 4 cms. Melbourne University Press, 1990, fig. 39.4, p. 389. Entomological Society of Victoria, 2008, pp. 8-9. Volume 49 (1924), p. 426, No. 52.